I originally posted this on Spotted as there was no announcement or any additional images but it’s a logo I did want to write something about so I’m glad a little more stuff has surfaced. The old logo was whack, with one of the strangest fonts I have seen in some time — that “e”! — and the tacked on graph bars with an implied swoosh. The new logo evolves the bars into a nice abstract icon that, sure, may look like any number of Microsoft application icons, but I actually like how nicely this one is done and how well it plays with the hard angles in some of the letters in the wordmark, which, itself, is quite nice as well. 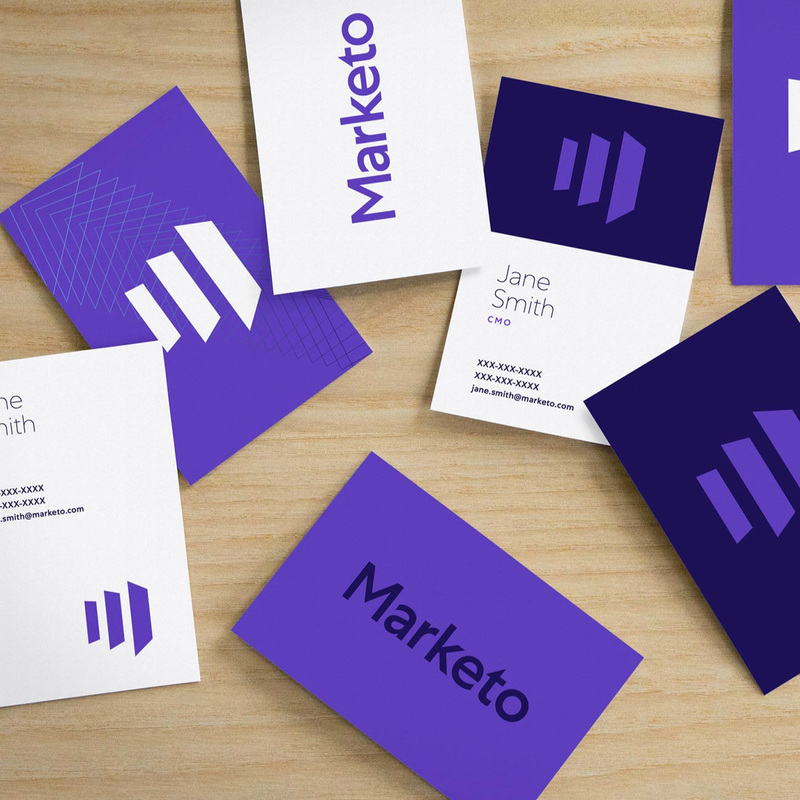 The applications like the business cards and billboard are not very interesting and feel clunky and weird, especially in contrast with how crisp the logo is. Then things take a turn for the super weird with the logo reveal video that is way, way too far-fetched for marketing software. I mean, it’s kind of cool as a music video but I dunno how its rave-like vibe fits in with the identity. Overall, and it’s weird to say, I think this logo needed a more boring and less ambitious application and attitude. (Est. 2006) \"Marketo, Inc., offers the leading Engagement Platform that empowers marketers to create lasting relationships and grow revenue. 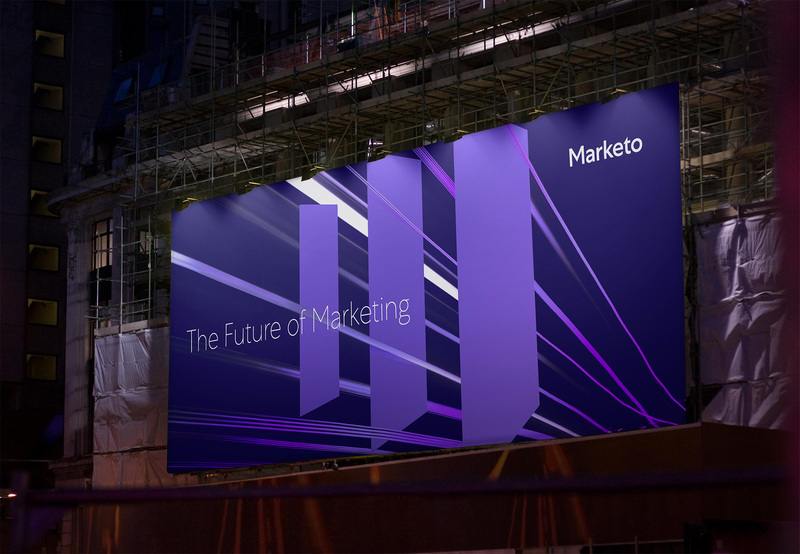 Consistently recognized as the industry's innovation pioneer, Marketo is the trusted platform for thousands of CMOs thanks to its scalability, reliability, and openness. 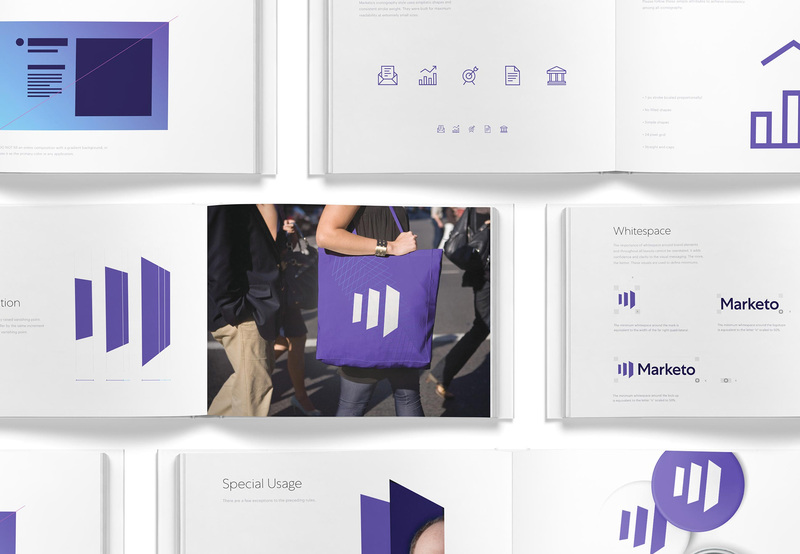 Marketo is headquartered in San Mateo, CA, with offices around the world, and serves as a strategic partner to large enterprise and fast-growing organizations across a wide variety of industries.\"